I’m doing the best I can. Under the circumstances, I don’t think Mom has room to complain. When don’t I think about my father? An IED in Afghanistan wrecked his brain and now he exists in a hospital bed in the living room. My world revolves around caring for him and aiding his recovery. All I can do is think about my dad, our past, and the bleak future that is all but certain. Maybe I have the occasional drink, perhaps I use pot to escape, and yeah, my friends aren’t winning any public service awards. But my grades are decent, I mostly stay out of trouble, and I go to every damn therapy session she sends me to. Apparently that isn’t good enough, because now I’m getting shipped away to Tellure Hollow for the winter. Cousin Bryan “The Blizzard” and his perfect perky wife, Liz, have kindly opened their doors to the troubled teen in the family. With an arsonist setting fire to the town and a massive blizzard closing in on us, I’m starting to think these two are always at the epicenter of crazy drama. Thanks, Mom! Merry Christmas to you too. 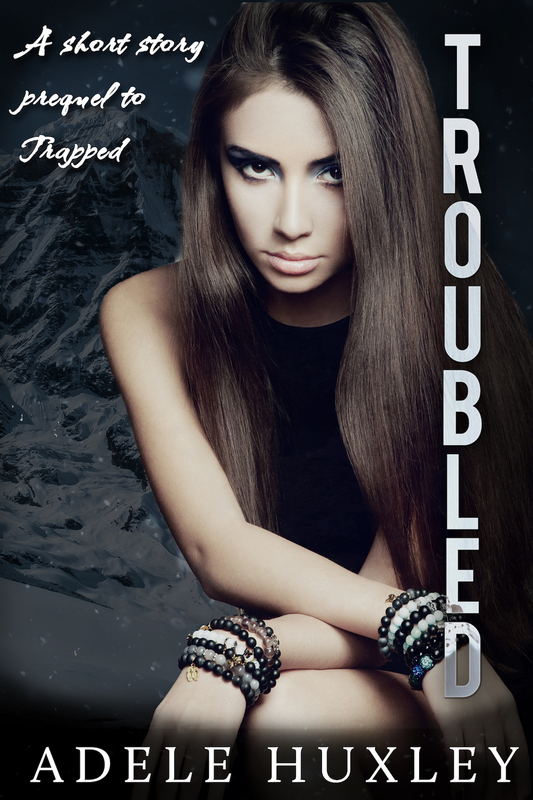 Troubled is a short story prequel to the romantic suspense novel, Trapped. Readers get to meet Dani Marsh, Bryan “The Blizzard” Marsh’s cousin, and one of the main characters in the winter sports standalone. The subject matter in this short is on the dark side and certainly for adults only.